India takes on England in the semi-final of the Women's World T20 at Antigua and the 'Women in Blue' will be looking to bury the ghosts of the 2017 World Cup final defeat. The Indian women's cricket team will take on England in the 2nd semi-final of the ICC Women's World T20 at the Sir Vivian Richards Stadium in North Sound, Antigua. Star Sports 1 and Star Sports 1 HD will provide live television coverage of the match in India. The live stream will be available on Hotstar. While the other semi-final between Australia and Windies is a repeat of the 2016 World T20 Final, this one is a repeat of last year's World Cup Final. India goes into this game unbeaten and in hot form but will first have to put the pain of the defeat from last year's final behind them as they take the field against England. India will welcome the return of Mithali Raj to the fold as her form and experience will be crucial in such a big game. She has two match-winning fifties for her country in the tournament group stages. Her opening partner, Smriti Mandhana is back in form and seems to be peaking at the right time for India in the tournament. Skipper Harmanpreet Kaur has been her destructive usual and – with 177 runs – is the leading run-scorer in the tournament which includes a quite glorious century she had scored in India's opening match against New Zealand. The bowling, especially the spin department, has choked the opponent's run flow in all of India's games. Lead by Poonam Yadav and Radha Yadav, the spinners have taken the bulk of the wickets. For England, their bowling has done well too. Anya Shrubsole has been particularly impressive with 7 wickets which also includes a match-winning hat-trick against South Africa. Her bowling form has corresponded with her lower order batting contributions – something she is traditionally known to do. Although the England batters have not impressed thus far in the tournament, the Indians have prima facie evidence to know better than take the likes of Dani Wyatt and Heather Knight lightly. 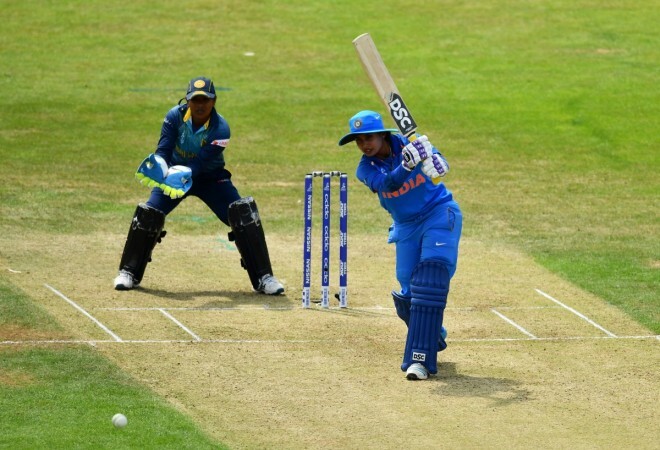 India: Harmanpreet Kaur (C), Jemimah Rodrigues, Smriti Mandhana, Taniya Bhatia, Ekta Bisht, Dayalan Hemalatha, Mansi Joshi, Veda Krishnamurthy, Anuja Patil, Poonam Yadav, Mithali Raj, Arundhati Reddy, Deepti Sharma, Pooja Vastrakar, Radha Yadav.